As I'm sitting here at midnight at a McDonalds waiting for DH's 3 times delayed flight to finally arrive I figured I'd take out my work laptop and start researching some summer plans. Had dinner with my friend Michelle and we were discussing doing a brew hop. I'd done this in So Cal with my friends last May when we visited. We did this in Temecula where there's a slew of breweries. I've never done this here so not sure where to start. We have lots 'o breweries in Vermont n stuff but I just didn't know if there was a collection of them somewhere like in Temecula. Michelle was mentioning some outlets in Kittery Maine? It would be lovely to combine some brewery hopping with a shopping trip. I'm really a California girl trapped in New England so sometimes I just need a little help with making plans around these parts. surfsnowgirl - check with the local and state tourism. I live across Lake Ontario from Rochester, just above The County of Prince Edward. We have so much tourism....Cheddar and Ale Trail, over 30 wineries, 3 great beaches, biking, and water sports. I'm sure your area has this too. In fact on the way to Tremblant 2 different radio station were advertising an outdoor show in upper NY state, and I'm on the other side of the border! They were promoting tourism and water sports. I paddle just about anything. Mary Tee....I'm sure they will take on a Newbie. In fact I'm heading to Florida next week for a camp. I'll ask about clubs in your area to expand your search. The SUP stroke and the DB stroke are same, just different paddles. Since this is my last weekend on the frozen stuff, can't wait for the ice to get out of the Bay and my cottage lake. Yeah, what about kayaking or stand up paddle boarding? There's also surfing off the coast of NH and RI. Probably nothing like what you're used to in CA but it does exist. Also, white water rafting--that can be done in western MA, so probably not that far for you. Thanks Jilly, that would be great. Surprisingly, I have not found much here on Long Island. I found one club in NYC, but it would be a 2 plus hour drive, without traffic issues, and that never happens! I have been (flatwater) kayaking for about 6 years now in the Adirondacks of upstate NY. Vermont, NH and Maine have beautiful still water lakes, too. 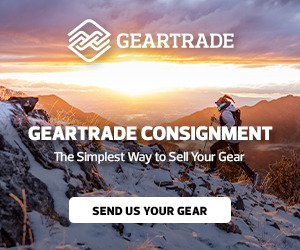 If you are interested, I can help get you started with recommendations for equipment and places to visit. My DH refers to my equipment as the Fleet. I have a standup paddle board, 2 single kayaks and a tandem. The Kittery outlets are pretty solid, lots of variety, and you can always find some great deals. There's definitely a number of small breweries around the Kittery/York/Portsmouth, NH area. Red Hook in Portsmouth is by far the largest, but lots of good small ones too...Throwback, Earth Eagle, Portsmouth Brewery, Tributary, just to name a few. Or farther north...there's the Freeport outlets, maybe an hour and half north of Kittery. Both have similar stores/selections, but Freeport is a little more conducive to just strolling along (more of a small-town feel, rather than strip malls). The LLBean in Freeport is absurdly gigantic, and well worth a visit. There's a number of breweries around that area too, and lots of places in between. This..... THANK YOU!!! I will talk to my friend and we'll plan our weekend. I love the other suggestions too. We are close to the water but its the long island sound which would be great for paddle boarding so want to try that this summer. I coming from California don't usually even go to the beaches here. We go to the Newport, Rhode Island area a couple times a summer to surf and do the beach thang. I want to white water raft but I am beyond terrified. Afraid of getting spit out and held underwater. My surfing died down when I moved back here because I want to surf in the summer and Rhode Island doesn't really go off until the fall. Fall is football, festivals and ski season prep for me so I'm not really in beach mode. I did lift served mountain biking last summer and got hooked so that's definitely on my radar this summer. Rollerblading would be fun, need to buy roller blades. I am volunteering DH and I to help out at mount snow this summer during a 2 day bike race. We each get a lift ticket for winter for helping out. I'll give my ticket to DH and then he'll have 2 for next winter. We are headed to northern UK at the end of June for 10 days so I'm looking forward to that. I was also going to mention Freeport.. love it there!!! LL Bean is crazy awesome and they even have free concert series in the summer which I accidentally happened upon one night a couple of summers ago! My SO and I hit some golf balls last summer...really fun! It takes a lot lot practice and money, I also think golfing is something you can take into older age. Maine! I love Acadia for hiking and biking. I also enjoy Rockport, Gloucester, and Freeport. Whale Watching, Hammond Castle, Lighthouse tour (including Portland Head) Go antique shopping. Go hiking anywhere in the White Mountains of New Hampshire. Explore the North Conway area (also overrun with outlets) but you can find many other things to do there in nature. Mt Washington. Hike to the waterfalls. Once, the Ski Divas did a summer meetup at a ropes course through the trees. Very fun! There is so much to do on the east coast! We have made our back yard into a little oasis, nice lawn chairs, table, umbrella and a hammock. I admit to spending many a sunday mimosaing in the back yard with a magazine. We/I spend every weekend in the winter (even this terrible one) driving back and forth to skiing so I love just chilling on sundays. Saturdays are farmers markets and gardening and we bbq all the time. I think I am going to get some crayons and a coloring book and color a bit this summer. Looking forward to bridgewater fair in August cause after that its the start of football and fall is right around the corner. Just want to speak to whitewater rafting, they let kids as young as 5 go rafting on certain rivers. Try the Fife brook section of the Deerfield River (Crab Apple, Zoar Outdoor (my personal recommendation) and Berkshire East are the major outfitters). Its more of a float trip down some fun riffles aside from Zoar Gap, which is over in just a few seconds...and I've swam it plenty of times out of my whitewater kayak. You wear a huge lifejacket and helmet. If you head to Charlemont, MA (where the Deerfield is) you will find lots of other activities like kayak rentals (Crabapple and Zoar), downhill mountain biking (Berkshire East), Ziplining (Zoar and Berkshire), even outdoor rock climbing (Zoar). Also check out tubing on the Farmington River in CT and Geocaching. I did lift served mountain biking last summer and got hooked so that's definitely on my radar this summer. I started mountain biking 6 years ago and it's the only thing I've really found to scratch the itch caused by not skiing for 6+ months. If you're looking for a mountain biking weekend, I'd definitely recommend venturing up to East Burke, VT. They have some lift service, that is well worth a visit. But their pride and joy is in the Kingdom Trail system throughout the town. I agree. I did this for the first time last September and it was scary for me (i am a wuss) but it was also so very fun. Doing something on the mountain where I ski in the summer just brings me peace. I am thinking about doing the pass add on to my season pass, it'll pay for itself in just a couple times. There's also somewhere in CT that does this too, one of the local hills so I'd like to try there also. East Burke sounds fabulous, we'll have to do that road trip, would love to check it out. I need to buy a bike cause renting each time is going to get expensive. The guys at mount snow recommended pink bike to find something use. Definitely want to rent kayaks this summer. However, we don't have means to get it to the water so ideally would love a kayak rental place that's right on a lake. Any recommendations on this front would be awesome. Vermont, New Hampshire, Maine or Massachusetts would be ideal. If you are near an Eastern Mountain Sports, they will provide you with foam blocks and tie-downs to carry the kayaks on the top of your car. Or if you want to come to Saratoga Springs, NY, I can introduce you some of the finest flatwater kayaking ever. 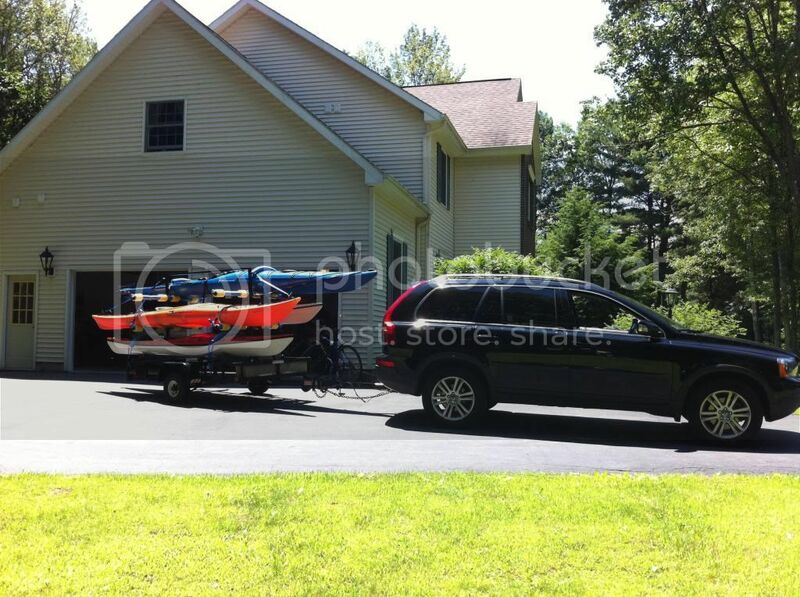 I have a 6 place kayak trailer and can also carry 2 more on top of the car. There's an EMS down the street from us, that's great to know. Not sure if those tie downs, etc would work on my Jeep with the soft top. However, DH has a Nissan Rogue so that should work fine. He actually has a kayak but can't bring it anywhere. More motivation now to buy him the crossbars for his Rogue for our anniversary in September. I would love to come to Saratoga Springs one day, that would be so fun. Maybe one weekend this summer. There's a couple places in Portsmouth, NH to rent kayaks, I don't have any personal experience with the companies/renting, but I love the waterways that you can kayak in Portsmouth and New Castle. There's a bunch of inlets, harbors, and creeks to paddle, with a bunch of little islands to explore, mostly around Little Harbor. You can also put boats in on the other side of the Piscatiqua River in Kittery, ME, and paddle Chauncy's Creek which is pretty awesome during high tide (I'm not sure if you can get all the way down the creek during low tide), and you can paddle into Braveboat Harbor in York. There's also a little lobster house on the creek that's pretty awesome, it's BYOB, and bring any food (that they don't sell). Thanks. I recently bought a living social for a distillery in Portsmouth, NH so kayaking would be a fun tie in. Will make a weekend out of it. Thanks for all the recommendations. I am not dreading summer like I normally do. Kinda excited with all the things to do.